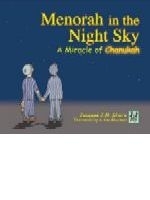 A beautifully illustrated, meaningful yet simple story of two young boys, best friends in a lonely camp during the Holocaust, whose faith and hope brings them their own Chanukah miracle. This is a holocaust story for children. You will need a box of tissues to dry your tears!